This little house was our main home. Now we live in the house with blue shutters that is to the right of this dwelling. 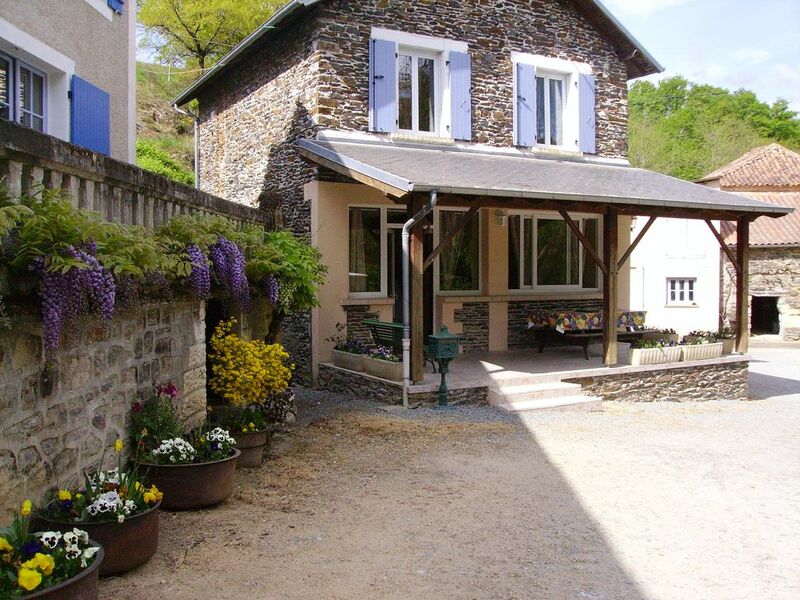 Small storey house with covered terrace facing the river, in the heart of the farm and close to the owners. Ground floor: kitchen, dining room, wc, master suite with bed 140. On the floor: 1 room with a bed in 140, room of water with toilet, living room with convertible sofa 1 place, corner relaxation, mezzanine with 2 beds in 90. Localistation: in the countryside, on the banks of a river, in a farm. Interior equipment: oven, dishwasher, television, microwave, washing machine, freezer, no phone but free wifi internet access, baby equipment. Outdoor equipment: barbecue, garden furniture, petanque. an additional toilet on the ground floor.